Drones can fly at speeds of 70 MPH and electronic fences can’t prevent them entry into prison yards, hospital property or school zones. Wow, seems like drones pose risks to society – regulate them! Wait! Did I mention that drones efficiently operate within radioactive areas or locations that would present hazards to humans, such as scouting the “hot” regions of a forest fire? 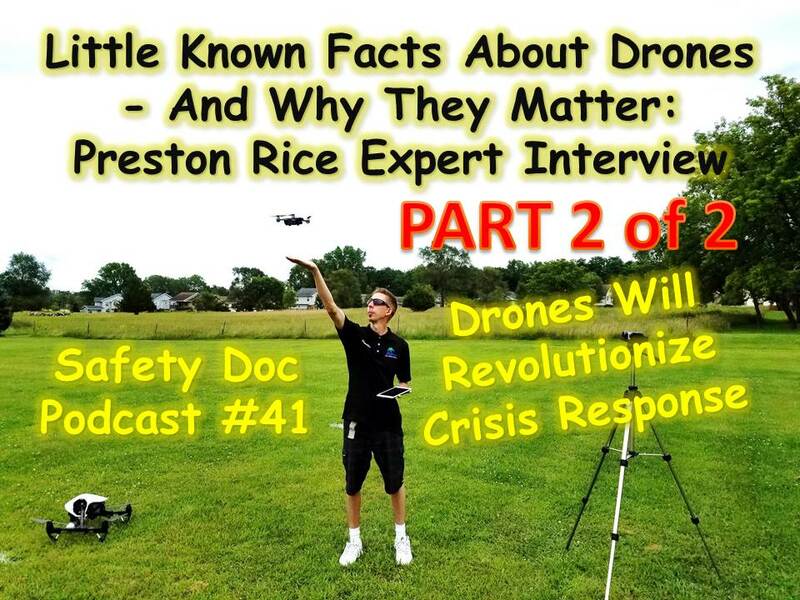 Drone expert Preston Rice explains and demonstrates the potential ways in which drones benefit humans – especially in the area of crisis prevention and response. The FAA controls the airspace above your lawn! However, the question of who owns the skies remains murky at local government levels. Rules & regulations for operating a drone differ greatly between a hobbyist and commercial operator. Drones, some smaller than a human hand, are used in many industries and show great promise for positive contributions to search & rescue and crisis response. 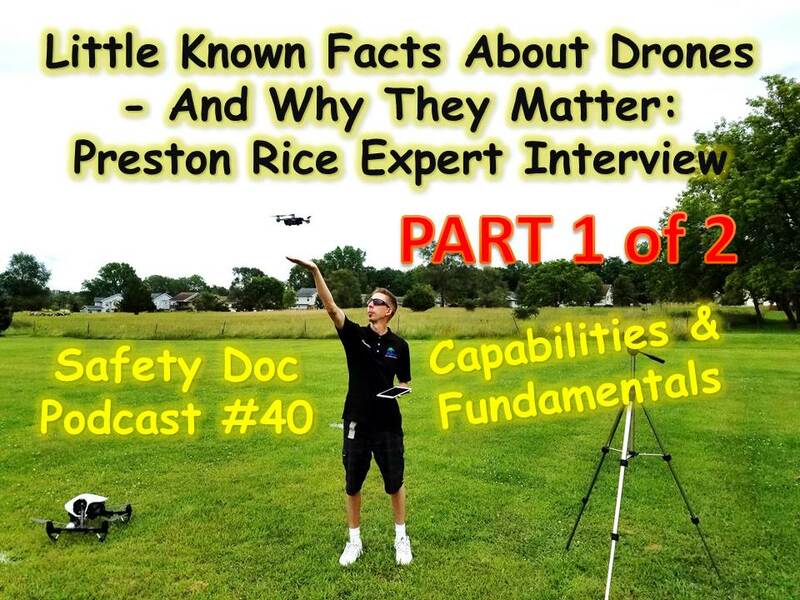 Dr. Perrodin and Madison Area Drone Service Owner Operator Preston discuss the amazing capabilities and influences of drones from the television shows we watch to monitoring growth of hundreds of acres of crops. By the way, eagles have been trained to pluck nefarious drones from the skies! That, and much more, in this part of one of two series in which you will learn how drones are a tremendous benefit across society – and just wait for positive impacts of drones in the future! High-drama multi-agency intruder response simulations transpire daily in schools across America. This hyper-realistic approach to school safety has produced a flurry of litigation centering psychological trauma for adults and children. Furthermore, theatrical drills are not supported by empirical research and differ greatly from other preparedness practices.